Confirmed by a DICE community manager, all physical copies of Battlefield 3 for the PC will require consumers to install the Origin client to play the game. Consumers that purchase Xbox 360 or PlayStation 3 versions of the game will only need an EA account to play the first-person shooter. This extra step is required for all digital downloads of the game as well, regardless of where the consumer purchases it. 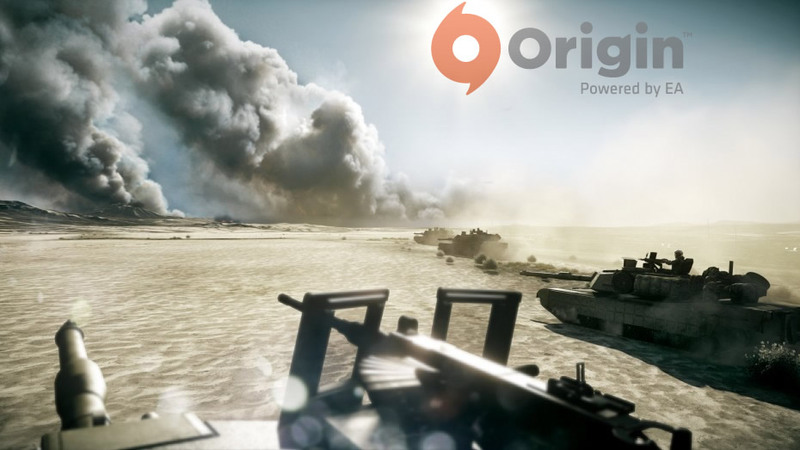 EA is already attempting to push the Origin service to the PC community with early beta access to Battlefield 3 as well as other pre-order benefits. This announcement follows the recent confirmation that the anticipated Star Wars: The Old Republic MMORPG from Bioware will be exclusively available on Origin. Critics of the Origin service have been quick to point out the limited feature set and problematic interface of the Origin client. The client requires users to both download games as well as install them, different from Steam’s more seamless experience. Origin doesn’t allow the user to import games from other publishers and lacks the massive social community seen on Steam. Users also complain about Origin eating up resources, a common problem when trying to run graphic-intensive games like Battlefield 3. This situation is reminiscent of Valve forcing anyone that purchased Half-Life 2 to install Steam to play the game. While PC gamers revolted against the new client initially, Steam has quickly become the most widely used PC game distribution client due to seasonal sales and other promotions. 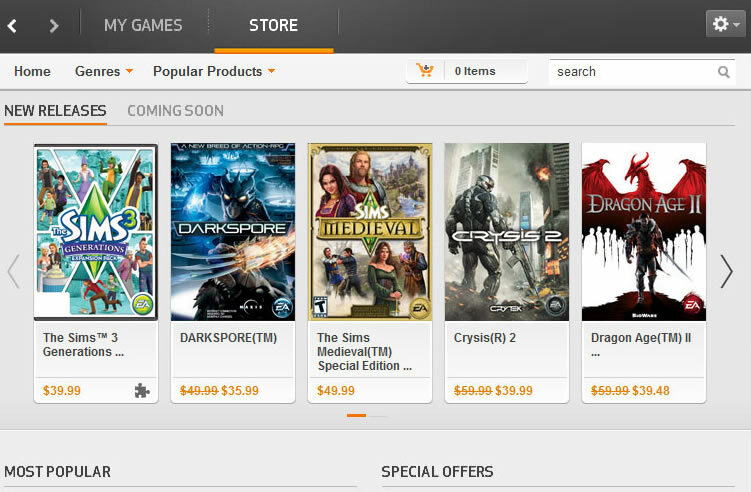 Complete EA games and corresponding DLC content for games such as Crysis 2 and Dragon Age II were removed from Steam when Origin launched. EA claims that Steam imposed a set of terms that wasn’t compatible with EA’s digital download strategy. It’s currently unclear if major EA-branded games will return to the Steam platform this year.